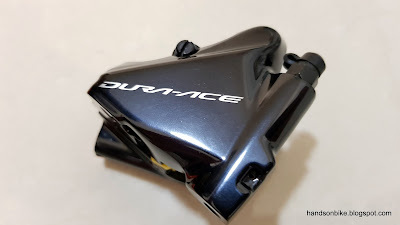 With the new Dura-Ace groupset, it now includes road hydraulic disc brakes, and has its own series of hydraulic disc brake calipers and rotors. For Dura-Ace, the focus is on providing lightweight, high performance, race ready components. 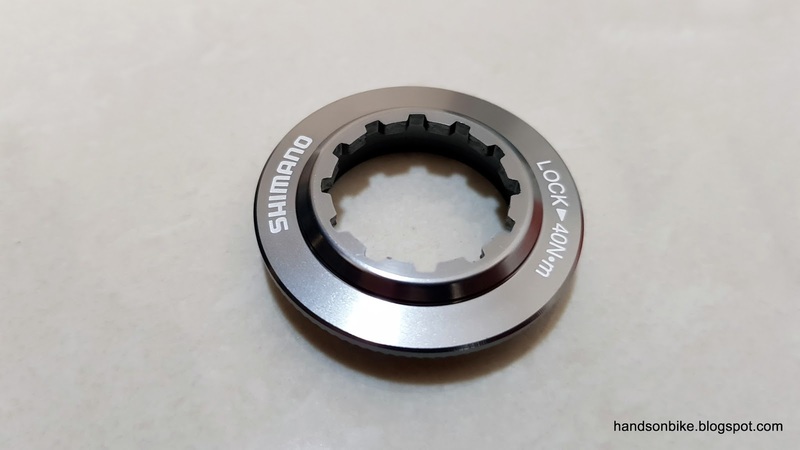 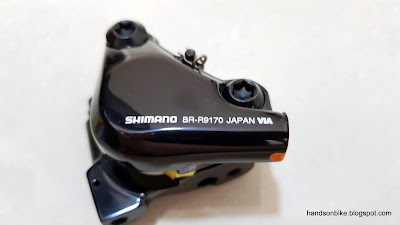 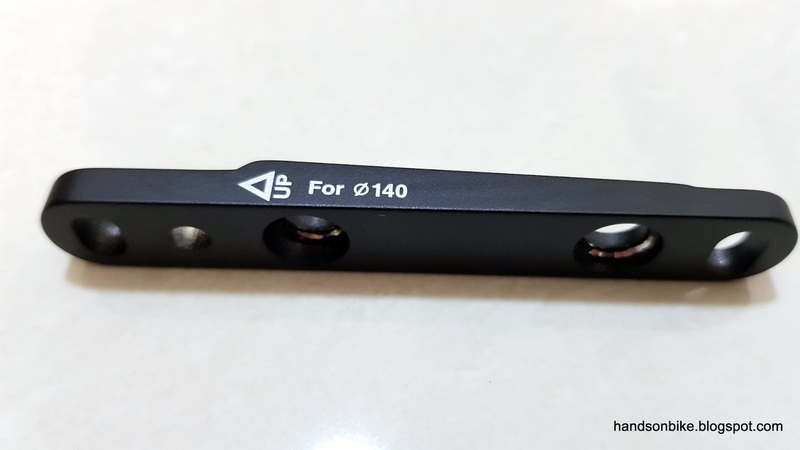 After checking out the ST-R9170 Di2 shifter with hydraulic brakes, let's take a look at the brake calipers and also the brake rotors in this post. 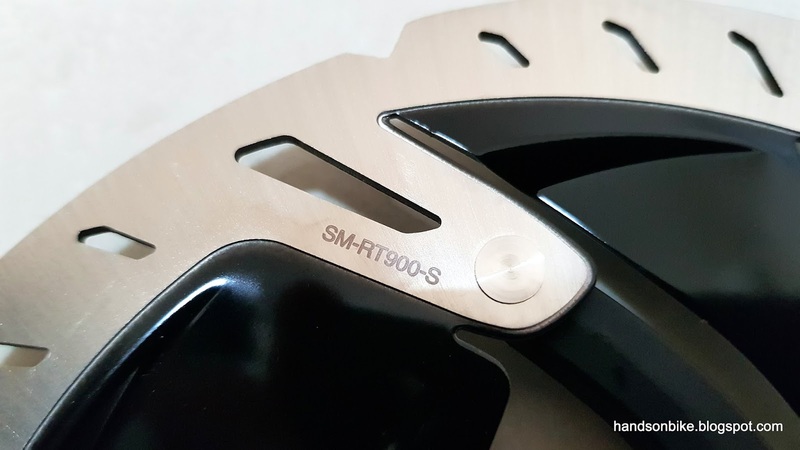 The new mounting standard for road disc brake calipers is the Flat Mount standard, which puts the brake calipers closer to the frame for a neater look. 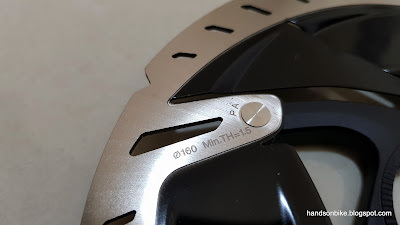 As such, the brake calipers look quite different from traditional MTB style brake calipers, such as the BR-RS785 brake calipers used on the Avanti Inc 3. 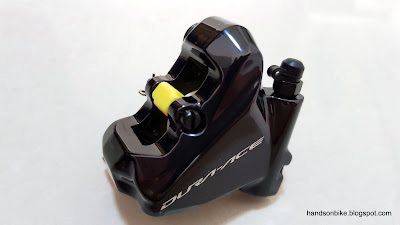 Yellow block in between the pistons are for bleeding the brake caliper. 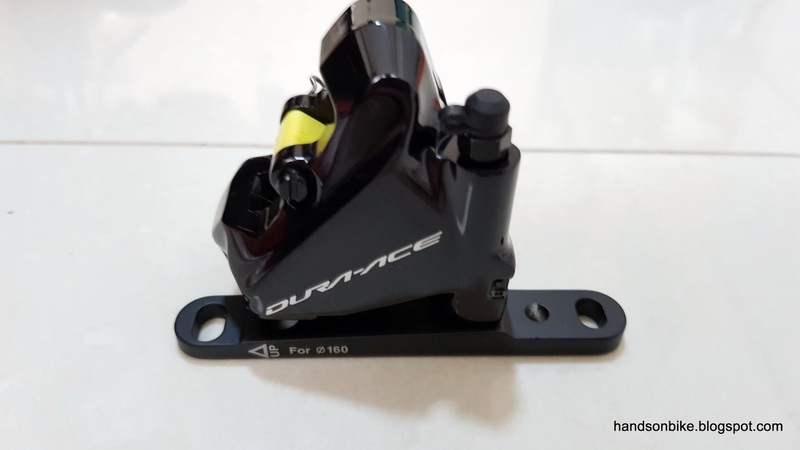 The brake pads will be installed later on. 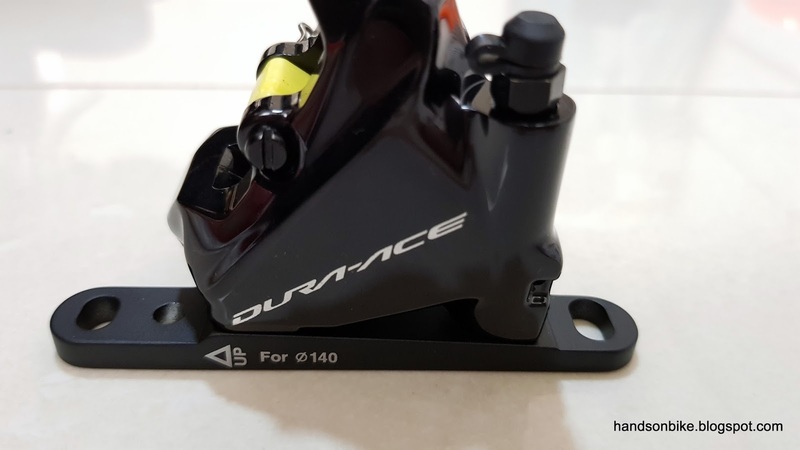 The front and rear brake calipers are actually the same, but the hardware that is supplied is different due to the different mounting methods for the front and rear. For the front brake caliper, it has an overall weight of 136 grams when installed on the bike. 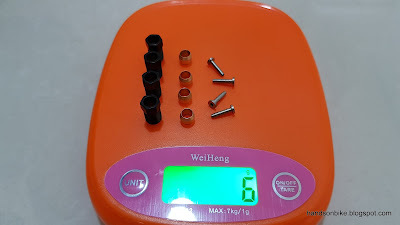 See how many loose parts there are! 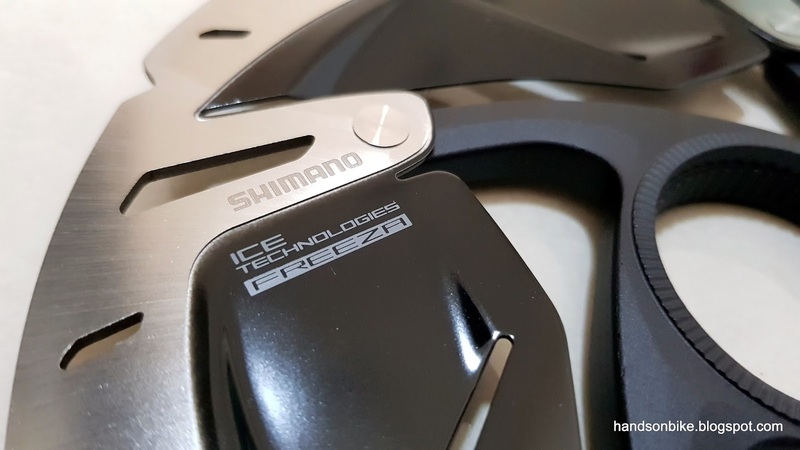 The front brake caliper requires an adapter for running with either 140mm or 160mm disc rotors. 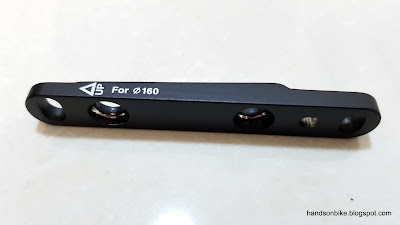 What is clever is that this adapter can simply be reversed to achieve either sizes. 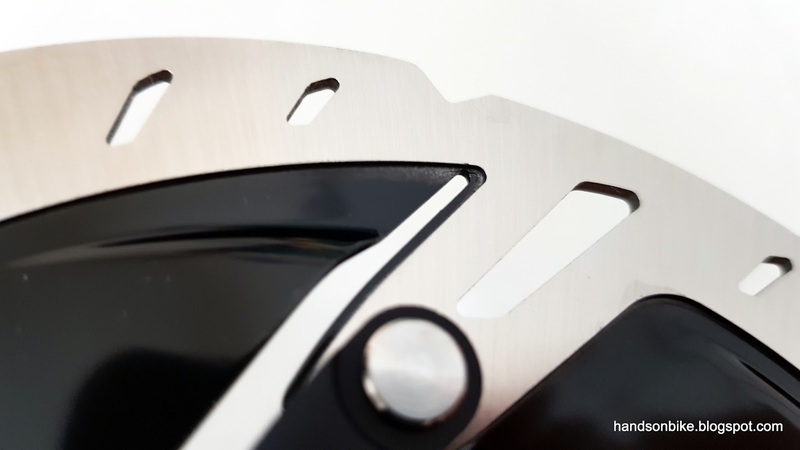 Flipping the adapter to the other side will move the caliper position upwards, to make it suitable for the larger sized 160mm rotor. 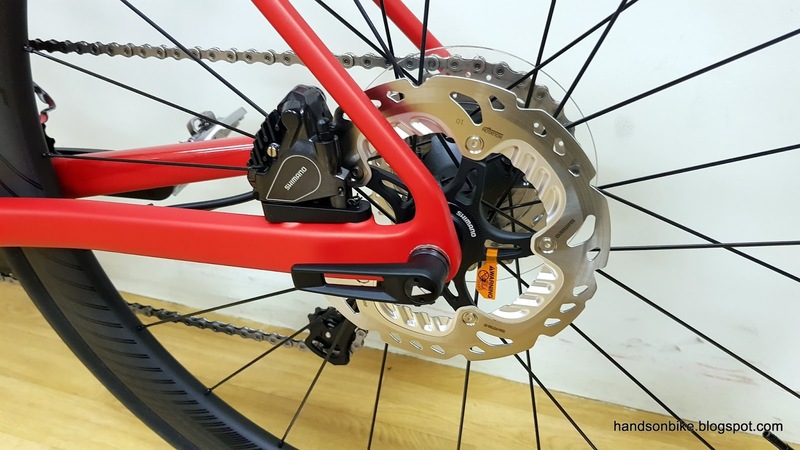 When used for 140mm rotor, the brake caliper will be situated lower on the front fork to match the smaller rotor diameter. When used for 160mm rotor, the brake caliper is located higher up on the front fork. Hardware that comes with the rear brake caliper. 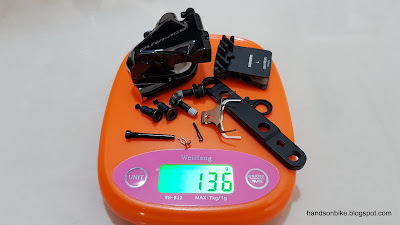 Still quite a lot of loose parts that need to be assembled. Weighs 126 grams in total. Two long bolts for securing the brake caliper to the left side chain stay, along with a safety pin to prevent the bolt from dropping out completely if it happens to loosen. For the rear, an additional adapter is needed if 160mm rotors are used. Else the brake caliper can just be bolted directly to the frame for 140mm rotors. 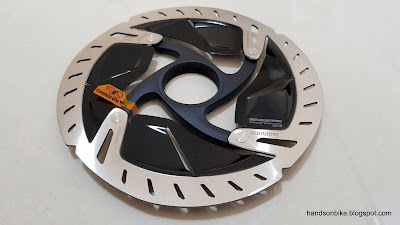 In my case, I will just use the original adapter that came with the bike, which has a stock rotor size of 160mm. 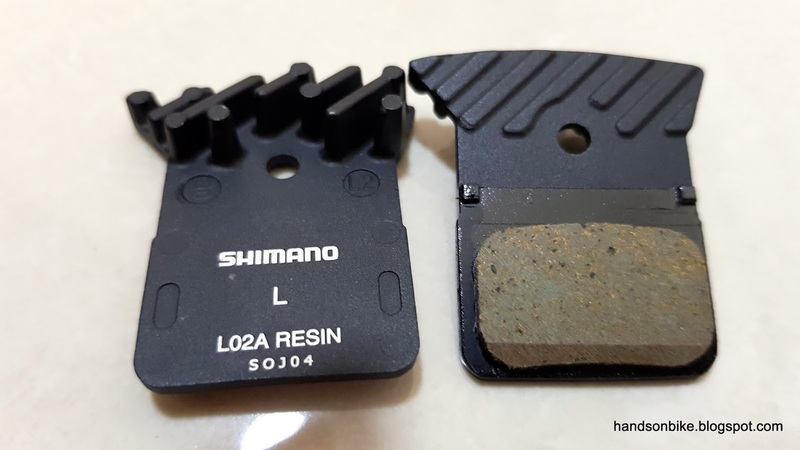 New brake pad design that is used for the Flat Mount disc brakes. It has a slightly smaller pad area as compared to normal brake pads. 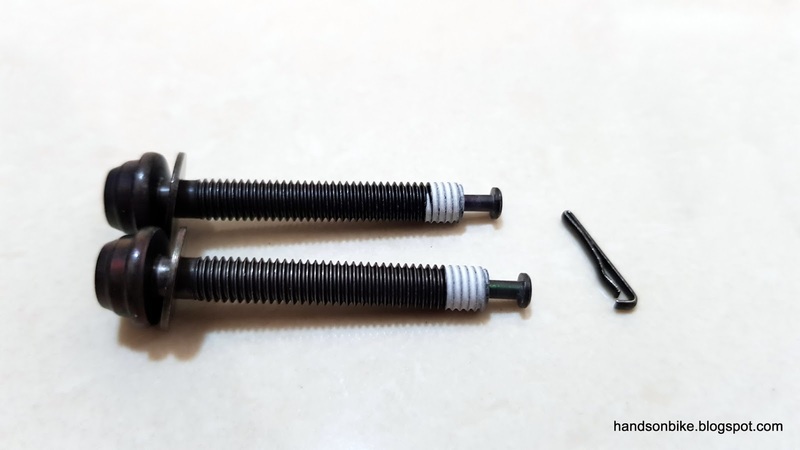 Brake hose bolts, olives and connecting inserts for use with BH90 hydraulic brake hose. I had to obtain these separately as they are not included if you order the shifters and brake calipers separately. 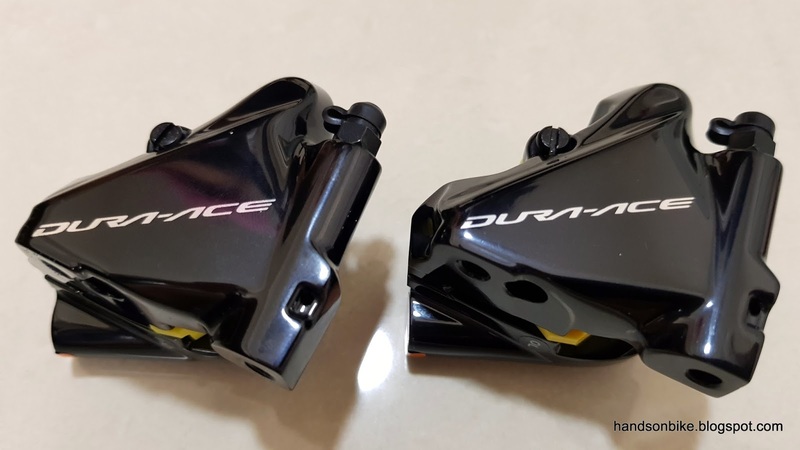 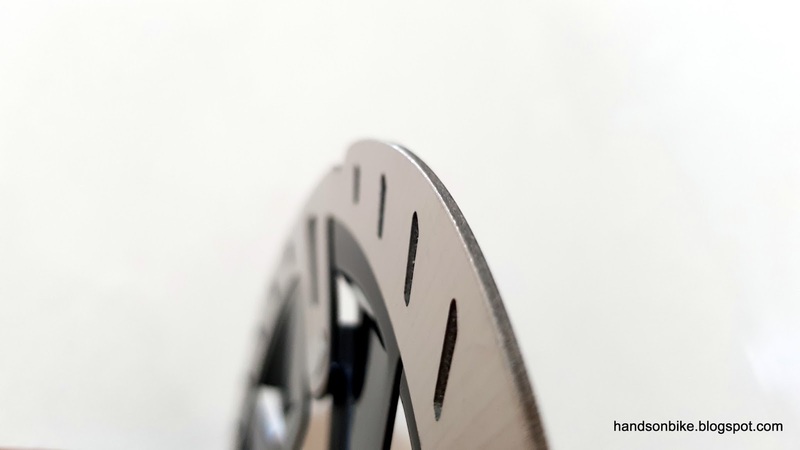 Other than the new Dura-Ace brake calipers, there are also new Dura-Ace disc rotors! 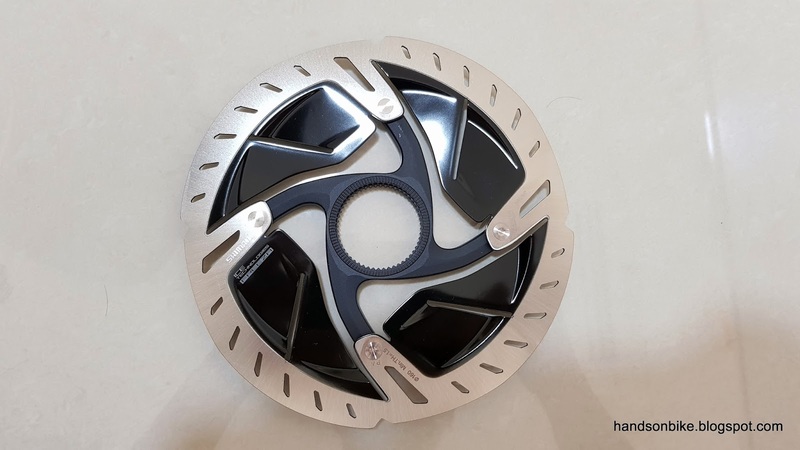 These new rotors have a unique appearance unlike no other disc rotor. 4 arm aluminium spider, together with the gigantic black cooling fins that takes up the rest of the space within the rotor. 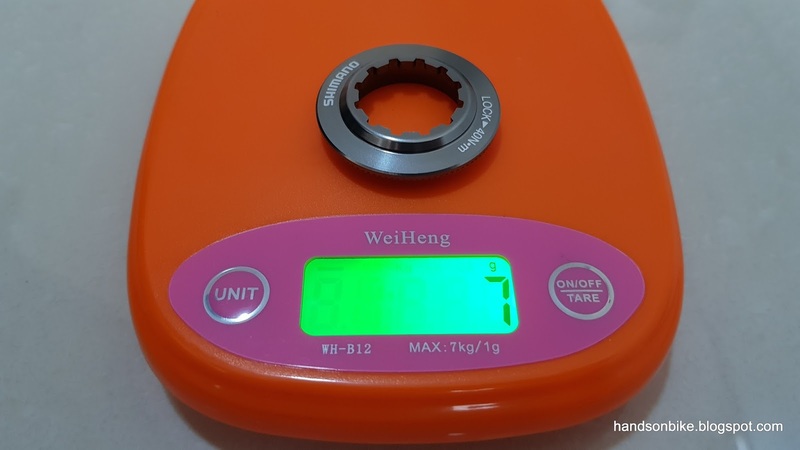 S size refers to 160mm diameter. SS is for 140mm. 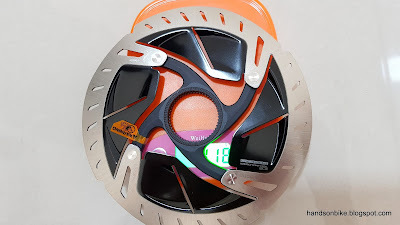 Weighs 118 grams each for the 160mm size, without lock rings. 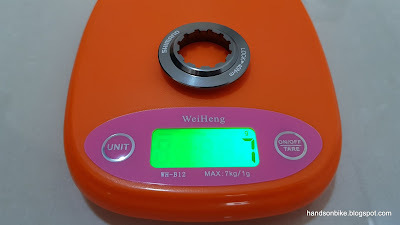 Each set of rotor plus lockring is thus 125 grams, which is a decent weight. One bike's worth of rotors would thus be 250 grams. 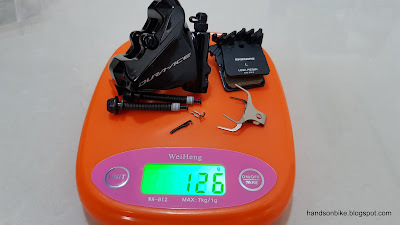 As for the hydraulic brake calipers, one pair of brake calipers would be 262 grams. 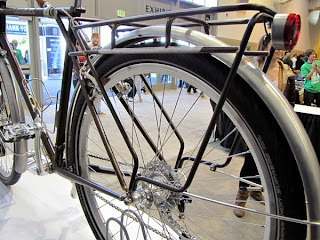 Overall, the disc brake calipers and rotors would add 512 grams to a bike. 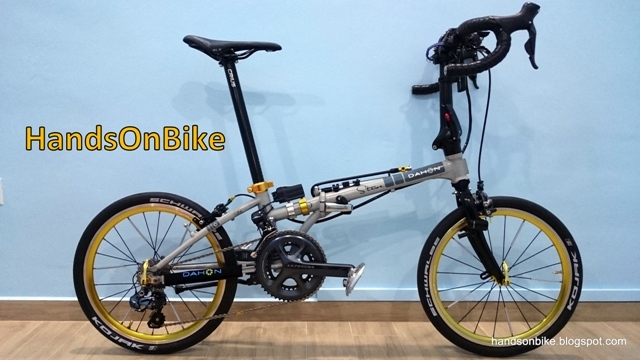 Between the hydraulic and mechanical brake version, the hydraulic version adds about 300 grams to the overall system. This is assuming that all other components are the same.